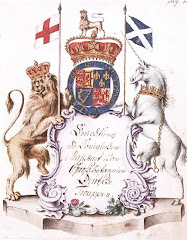 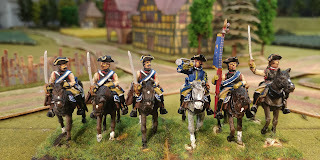 I have feilded these as cuirassiers in their post-1760 uniform. 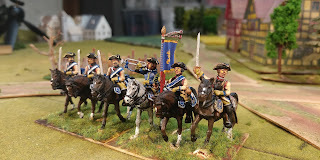 Although they were converted to cuirassiers the actual cuirasse does not appear to have been issued until after the end of the SYW. But I wanted to use the latest offerings from Black Hussar and so these are actual cuirassiers. 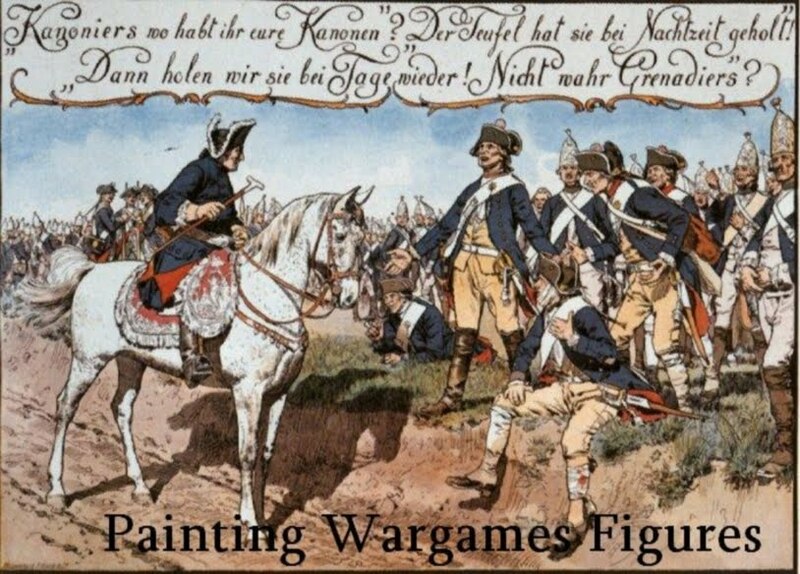 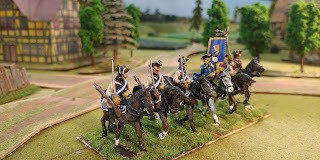 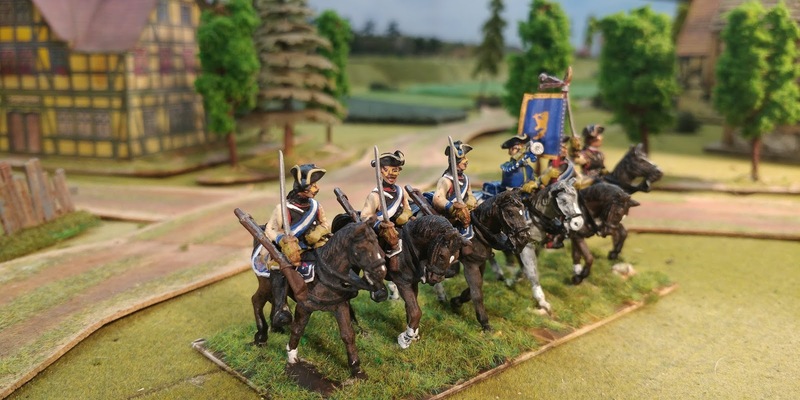 If you want Prussian (or lesser smaller states') Cuirassiers then these are the best you can buy in 28mm. Each figure comes with a variety of sword arms you can chose from.